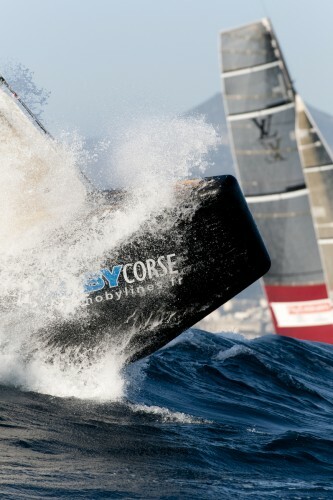 Artemis ended the Nice event with a loss today against All4One. It was a close race but the French/German team had the upper hand at the first cross and they did a nice job to protect their lead. Two matches were completed early this morning in the northerly drainage wind. In those matches, Emirates Team New Zealand scored a come-from-behind win over Synergy in the last 100 meters of the race as the wind was dying and the boats sailed downwind into a very large sea rolling in from the east. 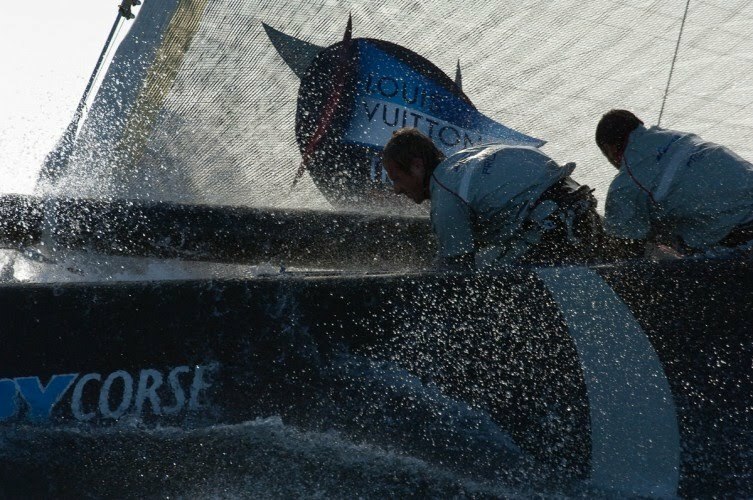 In the other match, BMW Oracle handed Team French Spirit-Pages Jaune a loss in what was never really a close race. Then we had the long wait as the wind transitioned to the easterly. We had a few issues on our boat before the start with a broken mainsail batten but we finally got underway around 1330. After our race, Emirates Team New Zealand and Synergy raced again and it was Synergy who took the win in a very close race with a few penalties being given to Emirates Team New Zealand. In fact, there was contact in one situation and the jury penalized Emirates Team New Zealand 1 point and Synergy 1/2 a point. So currently, Synergy leads that semi final with a score of 1/2 to 0. 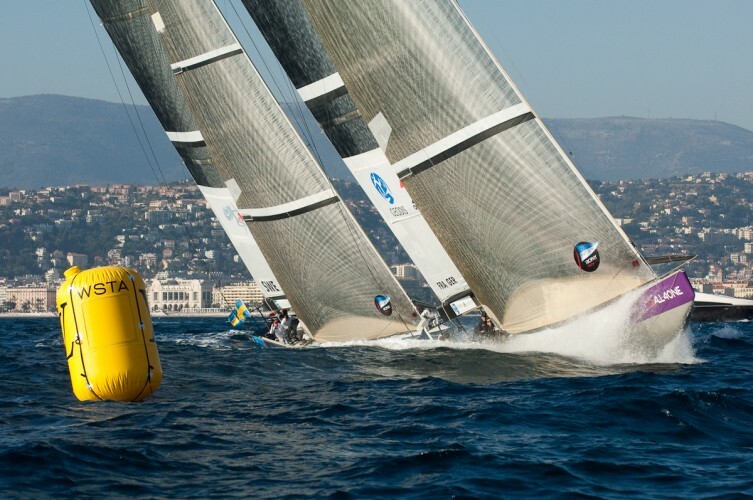 In the other semi final, Azzurra was over the start line early and made things easy on TeamOrigin. So that semi final is tied 1-1. Racing continues for the top four tomorrow but the bottom four are finished. Artemis finishes up in 7th which is not what we were aiming for. But we have made a good investment in our future by getting the team together and competing here. We have learned a lot and will be stronger in New Zealand in March for it. I am off to Dubai tomorrow with Robbie Naismith, Marco Constant and Jared Henderson where we will race next week on Katusha, the RC 44, with the rest of our team. Despite the difficult conditions here with the wind in Nice, it has been a fantastic event and all the sailors have enjoyed the racing. This morning, at 0730, there was a line of people right out of the village gate waiting to get on the spectator boat list. Not bad for the middle of November! Thanks to Louis Vuitton and the city of Nice for all of their support!